I made it a conscious choice to have this Best Picture Profile on Selma be my final profile for the Oscar season. There are many reasons behind this. Ok, two. There are two reasons. But they’re good ones! 1) After a measly two nominations at this year’s Oscars (for Best Picture and Best Song), I was a little heartbroken over the egregious snubbing of Selma. Most of this was for the complete dismissal of the expert direction of Ava DuVernay, and David Oyelowo’s masterful lead performance as Martin Luther King Jr. I needed some time to distance myself from where my emotions were on Nominations morning. 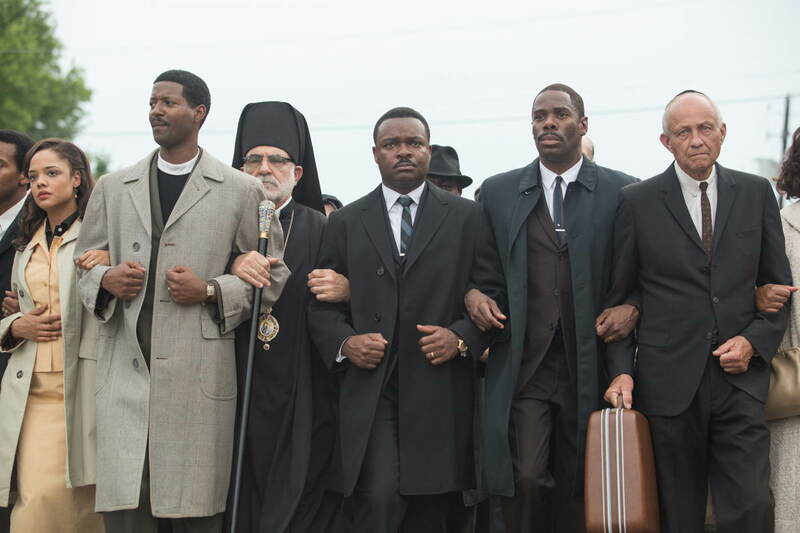 2) Selma is the best film of the year. This is just one man’s opinion, obviously, but to deny the sheer artistry that is on screen in Selma either makes you a fool or a liar. DuVernay and her team (including credited screenwriter Paul Webb) avoid many of the major pitfalls of “Oscar-bait” biopics. There is no attempt to cover the entire scope of the life and work of MLK, having us instead focus on a specific event in his life. MLK is also not made out to be a super heroic, infallible hero as well. He is a three-dimensional human being, he has flaws and has some moments of weakness. But he still can exhibit strength and wisdom and power, because that’s the figure he was, especially as exhibited in the performance of Oyelowo, an actor whose humanity, humor, and grace provides what is easily one the strongest and overlooked performances of the year. Indeed, this is a very focused and beautifully shot feature, buoyed by incredible performances not just from Oyelowo, but also from fellow co-stars Carmen Ejogo, Colman Domingo, Andre Holland, Oprah Winfrey (! ), and Tom Wilkinson. And with the addition of a haunting score by Jason Moran, the film is elevated to the status of a must-see, a film that should be studied by people looking to see how to make a proper biopic. It’s just, this film has more power and energy and hope behind it than any of the other Best Picture nominees. For it to be shunted like this is crazy. The most outrageous thing is that Selma isn’t just well-made; it’s a perfect testament to the state of American and American filmmaking right now. It speaks to a current generation of people of all races, of all backgrounds, uniting us in a message of survival and unity. And of course the echoes of Ferguson, Mike Brown, and Eric Garner speak volumes as to how current this film is. The film ends with a damn Common/John Legen song, for goodness sake. It’s a movie that, though set 50 years ago, is the most contemporary of all the nominees. If you haven’t seen Selma yet, I urge you to. It’s a superb piece of cinema, and one that will make you angry, for a variety of reasons. You might be the angriest of all because you’ll know deep down that the Academy Award-Winning Best Picture this year, isn’t.